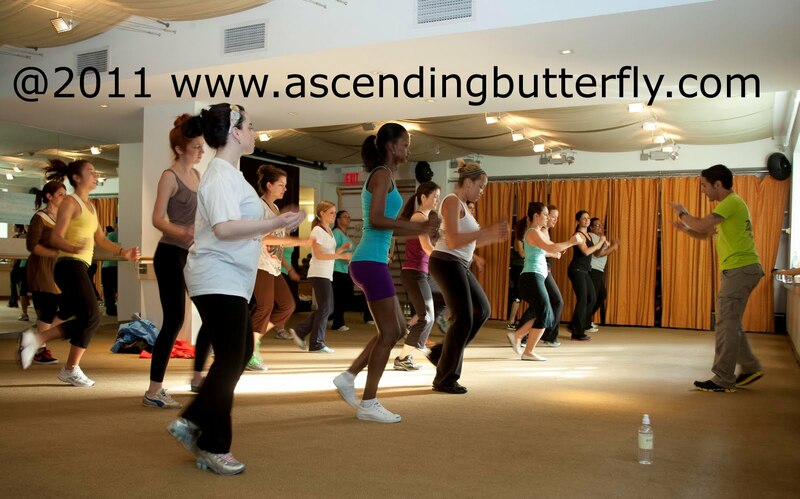 I was recently invited to try out Zumba Fitness for the first time at Exhale Spa in New York City by Degree Women. 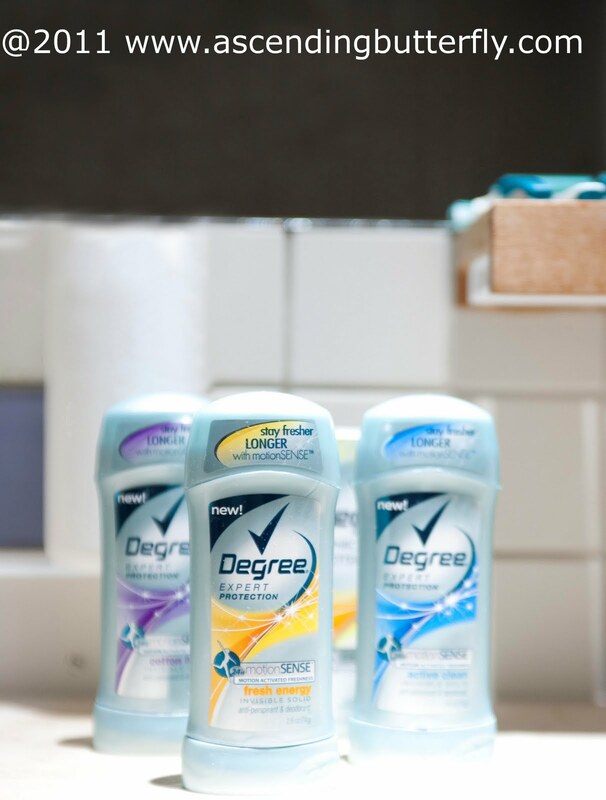 Yes that's right the folks behind Degree Deodorant are challenging us all to move! And as many of you already know I have already dropped 26 pounds so far this year making small Lifestyle Changes that have really added up. Last year I got to try Yoga for the first time, and this year I tried Zumba for the first time! Just in case you can't read it very well from this photo, it reads: 'Disarm From Within' - Isn't that a great inspirational quote? 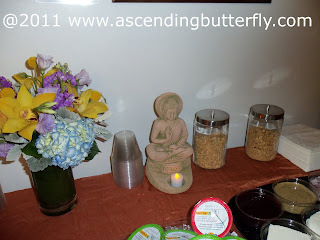 A very zen and healthy spread was laid out for us! And below is another picture of the class in progress, I'm in this picture! I may be a little hard to spot, you can press on the pictures to open them though, I'm in the very back left of the picture posted above this caption, I am in a Turquoise Top and Black Pants. For the past week since the event I've been testing out the new Degree® Women Deodorant with motionSENSE™ technology, the only anti-perspirant formula activated directly by movement, not moisture. And I have to tell you, it's what I'd call a 'Drugstore Gem'. There are some staples that you get at the Drugstore that you say to yourself 'oh well, I can just get the brand on sale' but there are other things, that regardless of the sale price you will not change your regular brand for. I've been a Secret Deodorant user for pretty much a lifetime and switched to their clinical strength when they first launched it. I honestly have never switched from Secret (except from their regular formulation to the clinical) and now that I've tested out Degree with motionSENSE, I'm hooked. I've made the switch. It's beyond effective! And I know it's totally geeky but I like that my new deodorant has a 'technology' behind it! I will tell you this Deodorant will take what you dish out, so hit it with your best shot, be as active as possible, I'm sure you will be as surprised as I was at how well this keeps you fresh and dry effectively all day! Ƹ̵̡Ӝ̵̨̄Ʒ - While the average anti-perspirant/deodorant releases fragrance upon contact with sweat, Degree Women with motionSENSE™ is the only antiperspirant that starts working when women start to move, keeping women fresher for longer. For more information, “Like” the Degree Women Facebook page and follow Degree Women on Twitter at @DegreeWomen. 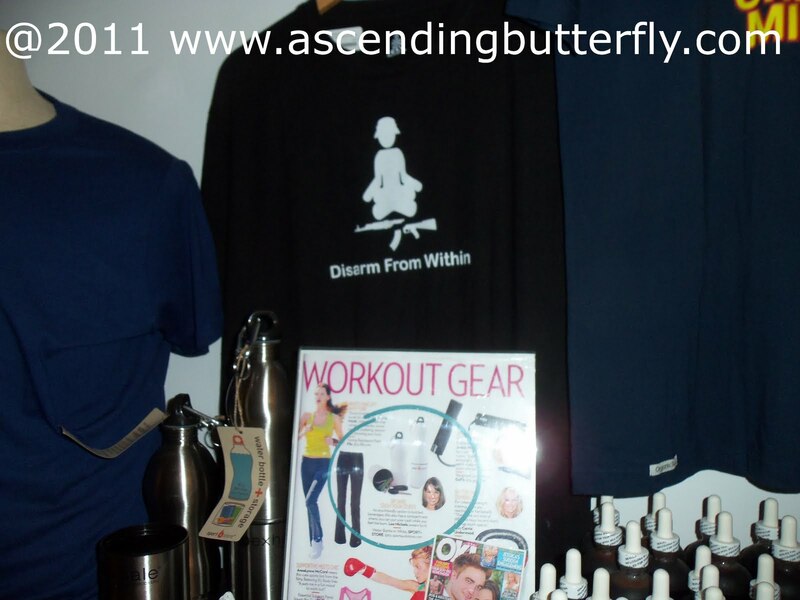 Now you know I'm always on the lookout for the win/win, I like to be sure Ascending Butterfly Readers get something too, that's why I don't mind working so hard, this time even putting up a sweat to bring you back something great! If you have seen the extra credits for our amazing Dads N Grads Month Buying Guide Giveaways, you may have noticed the Degree App extra credit entries I've offered. 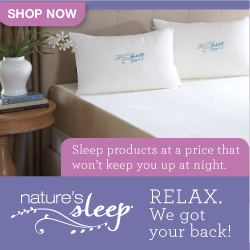 But you don't need to be entering our giveaways to benefit from this info and promotion! Do you like gift cards, electronics, trips? I kind of had a feeling you'd say that! Once earned, fans can use motionMILES for a shot at winning instant prizes by spinning the prize wheel or by entering weekly and grand prize sweepstakes. 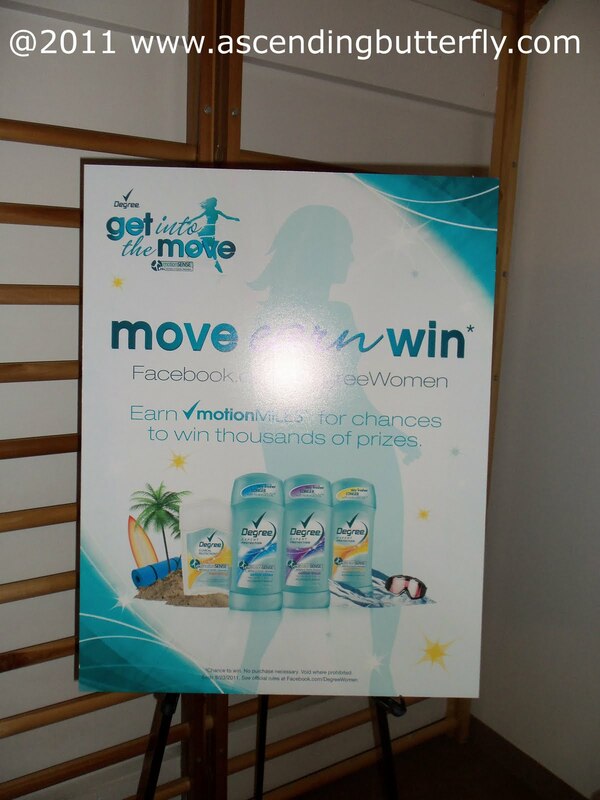 Prizes include a surfing trip in Hawaii, designer shoes, gift certificates for Zumba classes and much more. Fans can also choose to donate motionMILES in a dollar amount to one of two charities: The Challenged Athletes Foundation and Girls in The Game. To help women earn motionMILES, Degree Women has partnered with the largest dance-fitness company in the world, Zumba fitness. Coined the “fitness party,” the Zumba program blends contagious and easy-to-follow choreographies with upbeat international music, from the hottest award-winning producers, to provide an effective total-body workout. 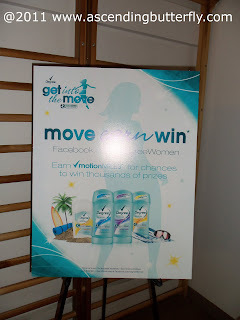 Fans can win Zumba fitness prizes through the “Get into the Move” application and earn motionMILES by taking Zumba classes at participating fitness clubs. I have wanted to try out Zumba, but don't think there's anything in my little town. You go girl! Way to lose the weight! I have always wanted to take those classes! lol. Really glad you enjoyed Zumba! One of my favorite exercises! congrats of your weightloss!!! That's awesome! @Macarena It will definitely help you drop pounds quick, but the great part is that you have so much fun while doing it! 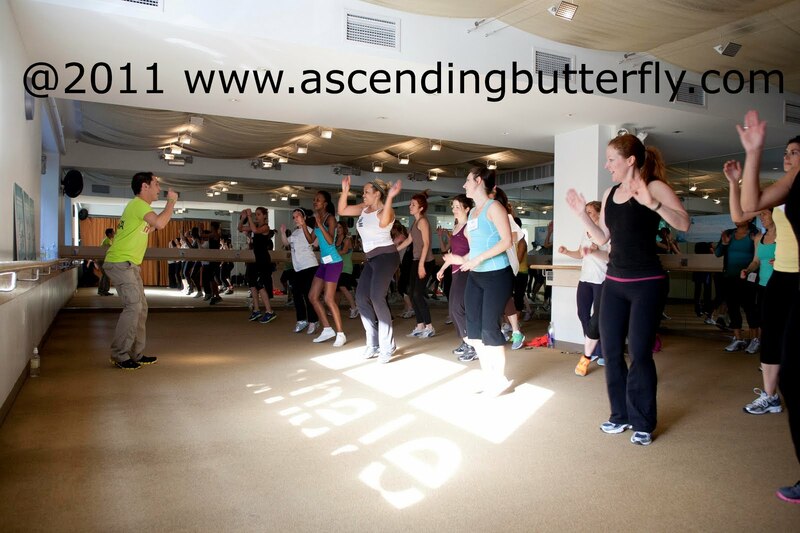 Make sure the class does a complete warm up and cool down afterwards! @Patty - I wish you could have made it! I know you would have enjoyed it!